Is That What Love Wants In Every Tune? It is so easy to fall in love, a bit confusing to express that love, but it takes a lifetime to understand what love really wants. Love doesn’t want the moon in actuality, but a sweet and romantic moment under the moon. It doesn’t want the stars for sure, but it wants the glittering moments of happiness. The things that love really want are available for free and you only need to focus on these things to bring more love, peace, and happiness in your relationship. So, we have jotted down certain points which every love story wants. 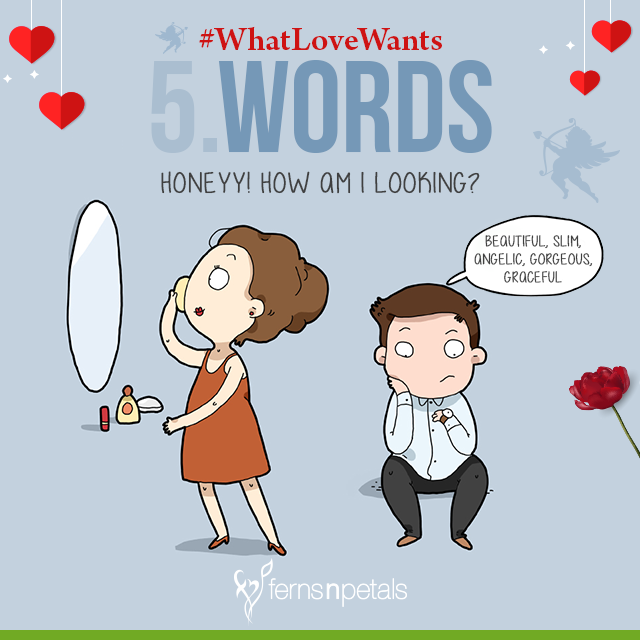 Take a look at the quick guide to #WhatLoveWants and these points would help you to celebrate the upcoming Valentines Week with new enthusiasm and of course romance. They say “time and tide waits for none”. Gulzar says, “time is also like people … keeps on changing”. So, when the time would be gone, only regret would remain if you don’t spend it well now. Work would always be there but you have to prioritize your time for the one you love. It is again not about how long you are there with your lover but the question is how much are you there with your lover. In 24 hours, if 8 hours is given to office, 3 hours to driving, and 6 hours to sleeping, then also you have 6 hours to spend with that “special person”. Both of you would be bored after work and there would be relatives dropping at your place every weekend, but amidst all that, you have to invest time in each other. Again spending time with each other doesn’t also mean, you have to enjoy every interest of your partner. Whatever least you both enjoy – spend time on that! Steve Maraboli rightly remarked, “The people who truly care about you won’t have to tell you they care; they’ll show you”. Care also doesn’t entail a frivolous attitude and taking the other person’s emotions for granted. 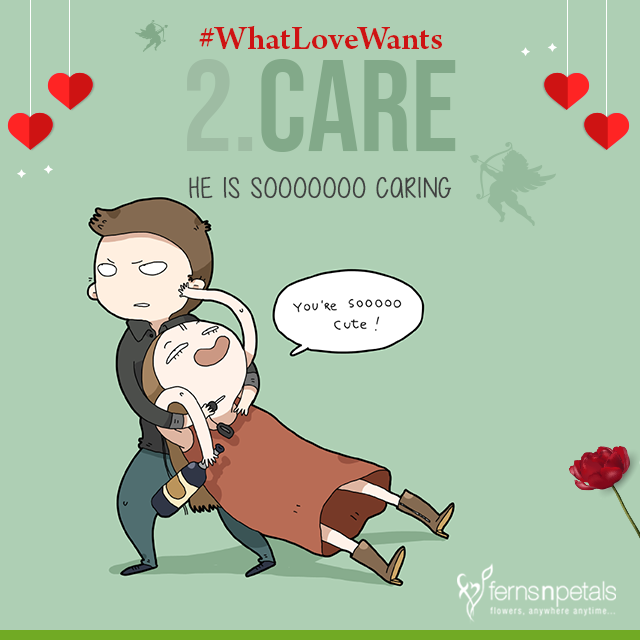 This caring attitude has to be two-way in order to enjoy a healthy relationship. Just because your partner takes good care of you, home, and finances, you simply cannot be callous in letting him/her carry out all the responsibilities. “Sharing is caring” – is a famous phrase and it holds true. A committed love relationship means you have shared a life together and in that sharing, each one has to invest emotionally. Do small things like helping her with a cup of tea while she is awake till late night or give him a nice head massage when he is anxious. These small acts of care matter the most in love. No great invention on this planet ever happened without a strong imagination. Imagination is very important in adding that rainbow color in your mundane life. Work-office-home-family functions – life would be stuck in this circle but the spice has to be there in your relationship. That’s why going out for a romantic dinner somewhere once a month is necessary. Go out for a long drive on a weekend night and enjoy your morning tea in some other state – go for unplanned trips together just like you used to do in college days! Enroll in a Bollywood dance class together and that ways you would get more time to spend with each other. Every couple would agree that they don’t express all their feelings truly to their partners. Take it in a good or bad sense, expressing is very important. If you have a harsh truth or secret, you should reveal that too. You may see a minor & temporary bump in your relationship but that would bring more clarity to your life. Similarly, when you are happy with a certain achievement or creation of your partner, be very fluent in expressing that emotion. Bring flowers, chocolates, champagne, and cakes to express your love and happiness. That doggy from Dil Dhadakne Do (dubbed by Aamir Khan) says “humans have words unlike us and they don’t use it well and enough”. It is true. To communicate with the whole world, there are so many things today – phone, laptop, social media, etc. Communicating with the whole world is not as necessary as talking to your partner. After spending the day at work, when you meet each other, make it a point to talk to each other, feel the words the other one is saying, and looking into the eyes while talking. Being attentive while the other one is talking is also important to retain peace in your relationship. A surprise is always enjoyable but remember your surprise idea should not be a shock. So, study his/her character very well, talk to friends, and then jump into the surprise. 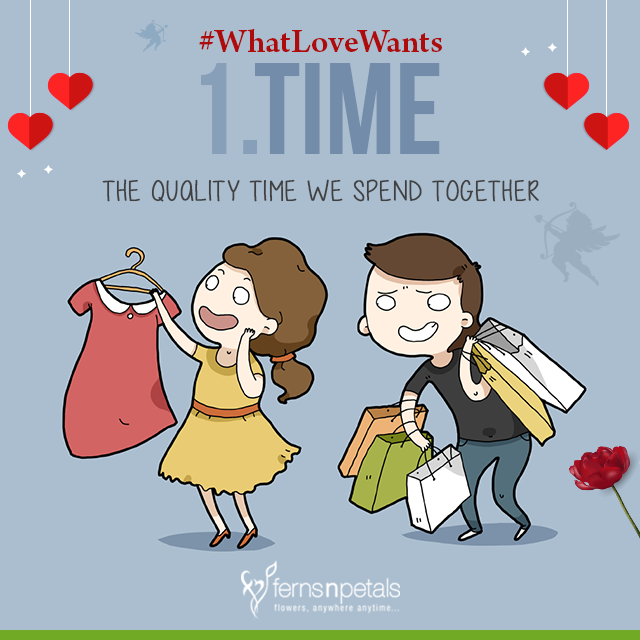 A surprise every now and then would keep your love relationship quite sorted. 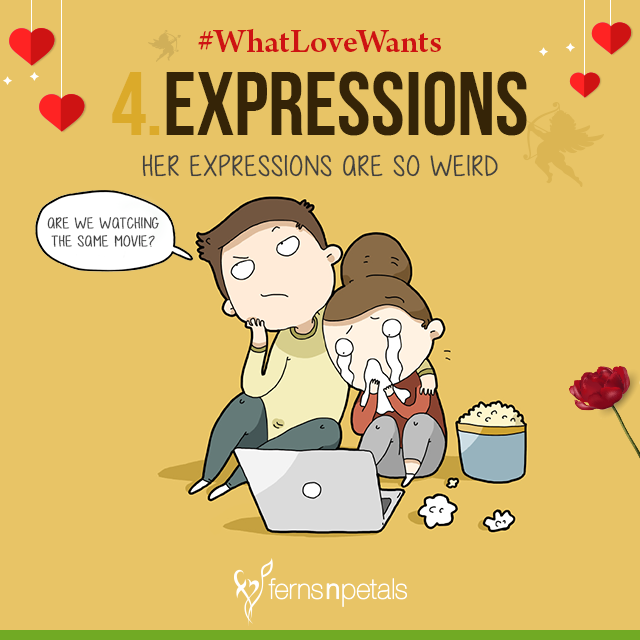 It would add that element of excitement and you would feel that new energy in your relationship. The surprise can be putting a bar of chocolate with a smiley and love note in his/her bag on Monday or driving to his/her office for a quick lunch break together! Researches and studies reveal that people react actively to positive compliments and not to negative criticism. The whole world outside is there to ignore 100 good things and pinpoint 1 mistake. But being the lover, you should never do that! 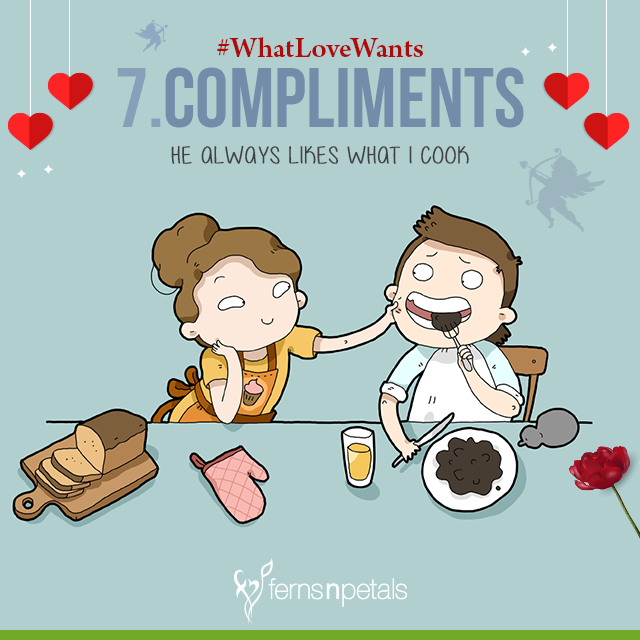 So, if the cake is not baked well, then you should not be ridiculously harsh on your partner. Instead, you can appreciate the effort he/she has put on preparing a cake and also say that he/she can do better next time.